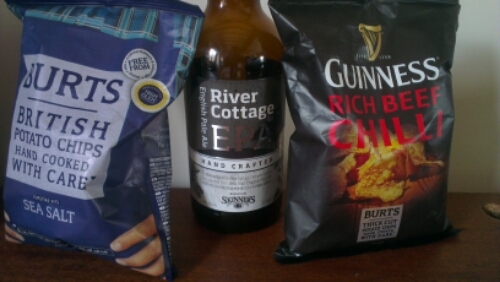 This entry was posted in Beer, Food and tagged burts chips, competition, review, river cottage epa by richy. Bookmark the permalink. As a Glaswegian, I’m obviously very proud that Glasgow is hosting the Commonwealth Games. I’m most looking forward to the Athletics in a few days. Having half the Zambia team ask to take a selfie with me last night. Unlikely to be topped due to generalised disinterest in sport, but now somebody has explained to me what rugby sevens actually is I’m looking forward to my weekend! Has to be the Commonwealth Games. We have tickets for the athletics on 29th & 30th. It will be great for my kids to experience this, and a chance for Sandi to get involved as her Primary School Class were involved at the Opening Ceremony at Meadowbank in 1986, and she missed out as she was on holiday in Germany. I don’t think she has ever gotten over missing out on the free tracksuit or trainers!! Sporting highlight? SPORTING HIGHLIGHT?! dude!!!! Commonwealth 2024, ALL of it! glasgow is my city, hospitality is my currency so I cannot wait to be in and around all the amazing events over the next 2 weeks! My sporting highlight has been discovering sports. I am working for a news agency and I’ve learned how much fun and how thrilling lots of sports I wouldn’t have given a second look to are. Who knew how exciting lawn bowls was or the thrills of weightlifting?